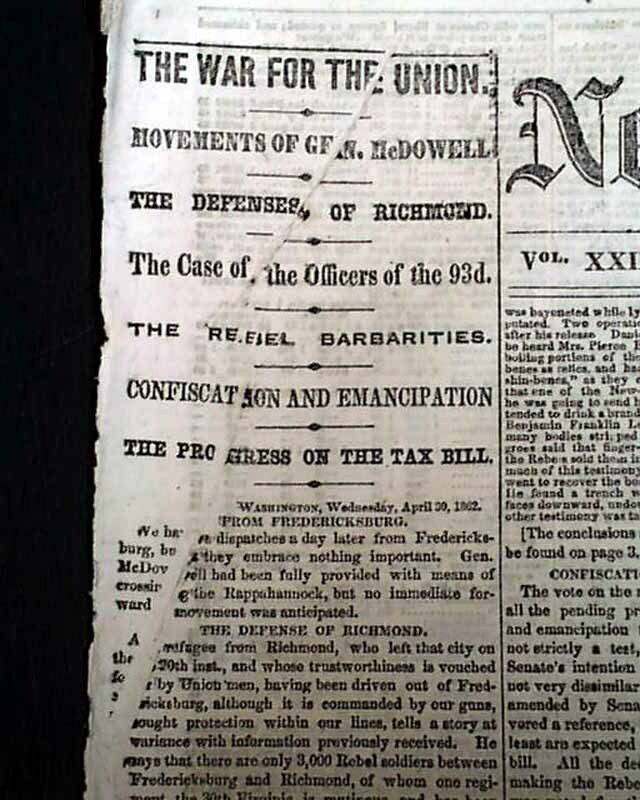 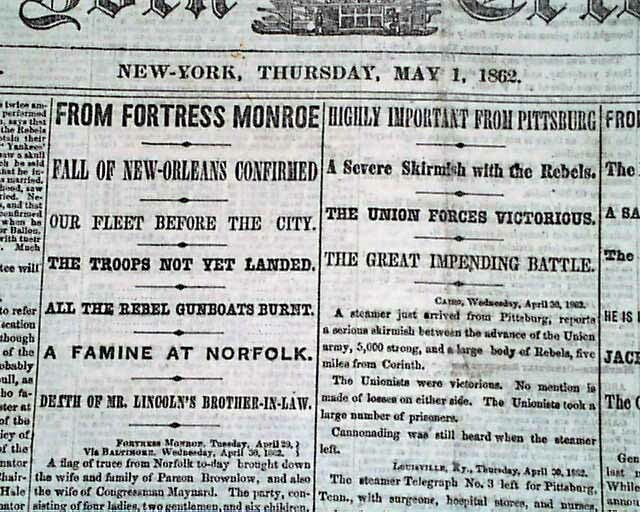 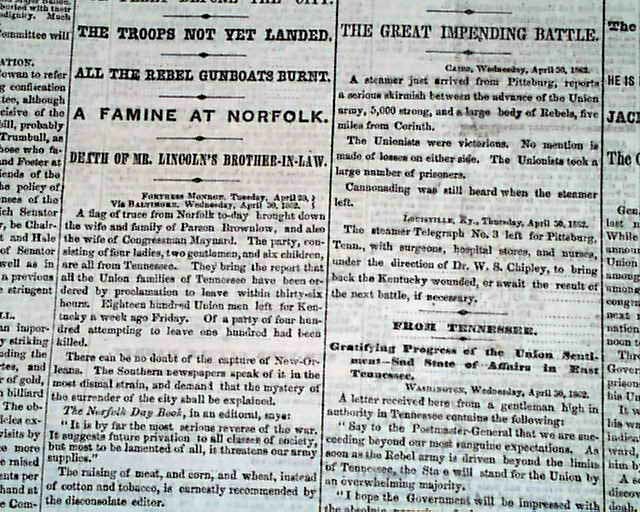 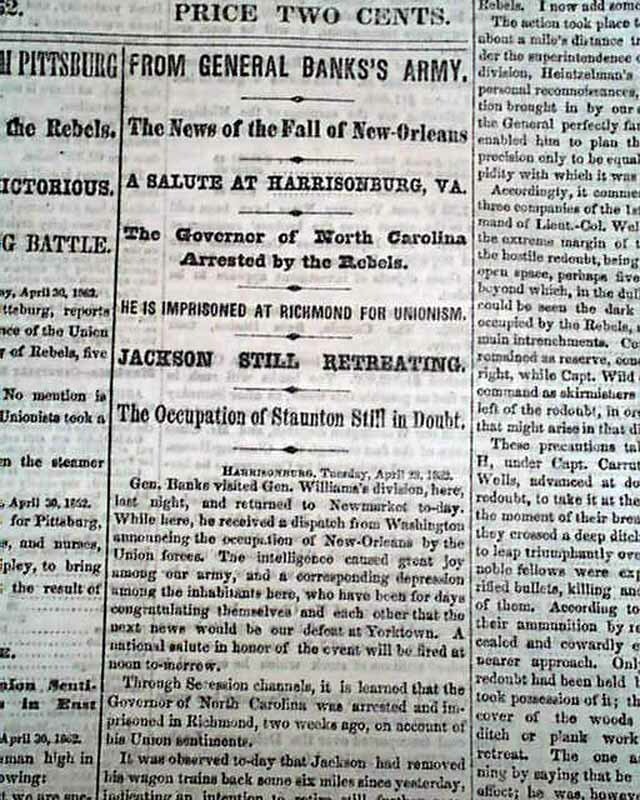 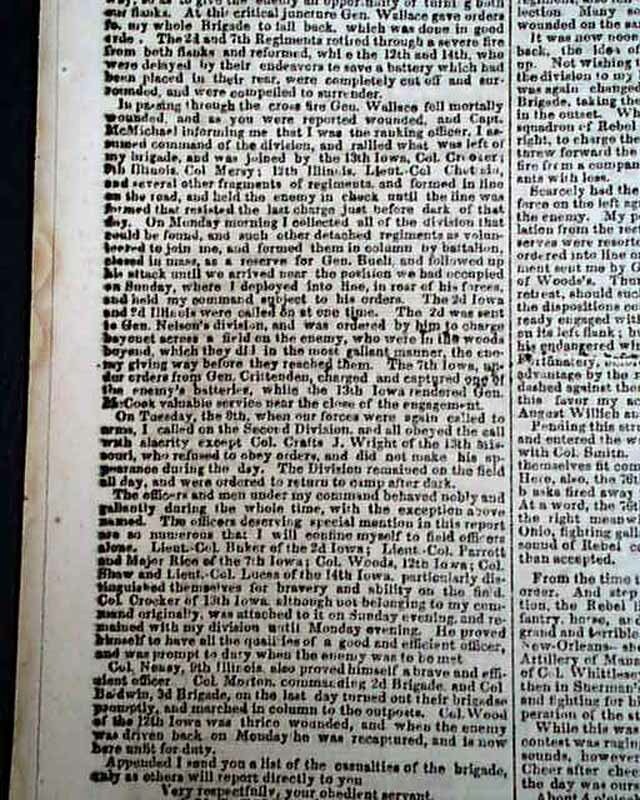 Front page one column headlines include: "Our Fleet Before The City" "The Troops Not Yet Landed" "All The Rebel Gunboats Burnt" "A Famine At Norfolk" "Death Of Mr. Lincoln's Brother-In-Law" "The War For the Union" "Highly Important From Pittsburg" "A Severe Skirmish with the Rebels" "The Union Forces Victorious" which is concerning the battle of Shiloh, or Pittsburg Landing. 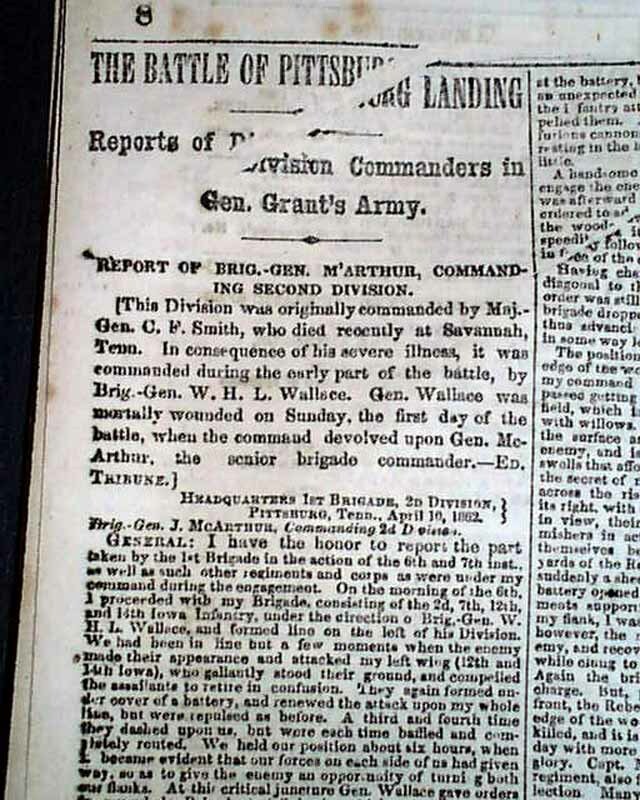 The back page has: "The Battle Of Pittsburg Landing" "Reports of Division Commanders in Gen. Grant's Army" with nice detail on this historic battle taking half of the page. 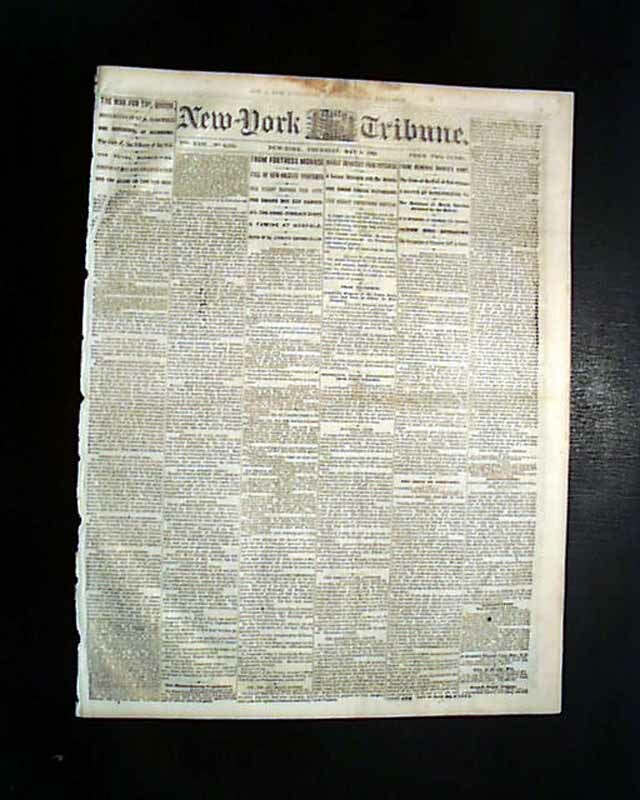 Eight pages, some printing creases cause no loss of readability, generally very nice.